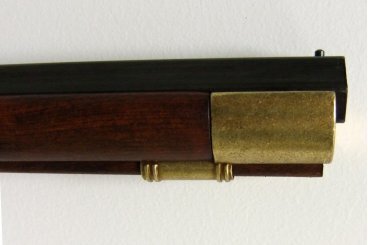 Kentucky carbine, USA 19th. 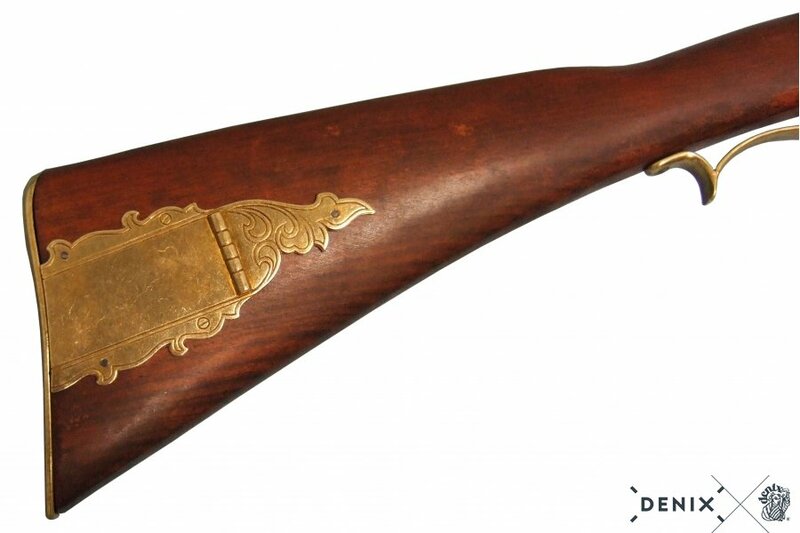 C.
Reproduction of flintlock carbine, made of metal and wood with simulated mechanism of loading and firing. The flintlock carbines had a flint or flint stone, which when triggered the hammer produced the spark that ignited the gunpowder. These types of weapons required the manual reload of their ammunition for every shot. The ammunition, which was introduced through the mouth of the barrel, consisted of gunpowder, projectile and paper wad, which served as a cap to keep the two previous ones compressed inside the barrel. 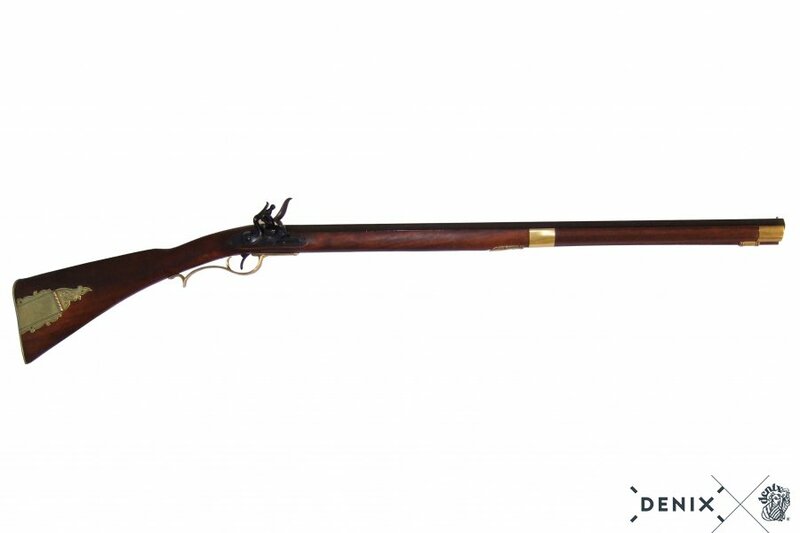 Originally the Kentucky carbine was developed in Pennsylvania in the early 1700s and was widely used during the War of Independence (1775-1783), as settlers were familiar with them when used for hunting. These carbines accompanied the first American explorers in the western conquest and are often associated with Daniel Boone and Davy Crockett. 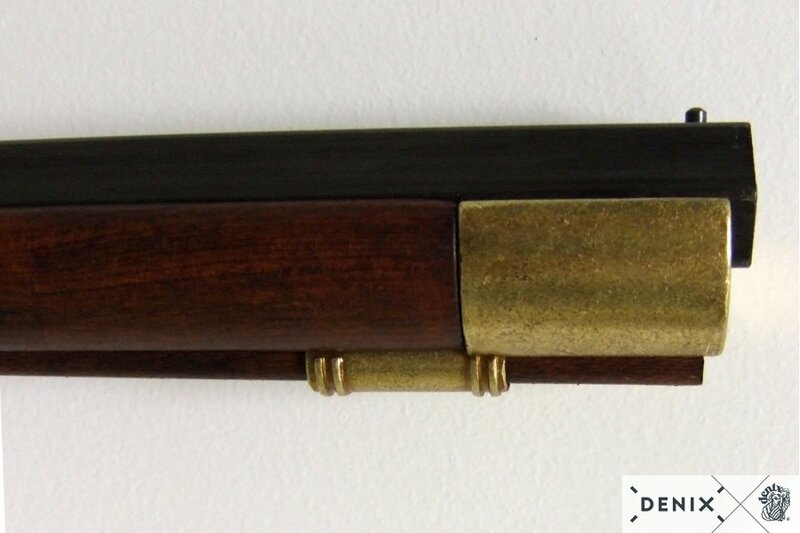 When the American Civil War broke out (1861-1865), the Confederates used these rifles, due to the shortage of weapons. Revive with the historical reproduction DENIX of this carbine the American War of Independence and the American Civil War!